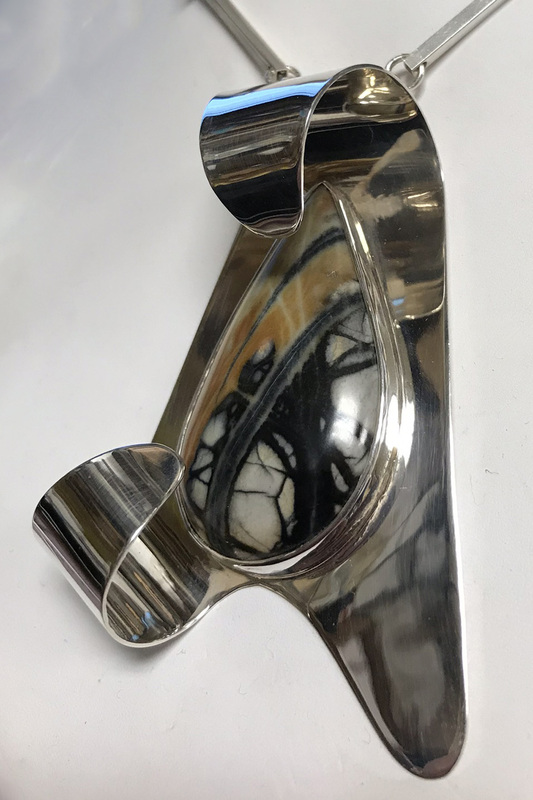 Sculptural Jewelry - This is a handcrafted pendant created from three-dimensional high polished sterling silver that frame a black, brown, and white Picasso Marble cabochon (50mm x 33mm). This bold necklace comes with a 24" handmade sterling silver square tube adjustable chain. 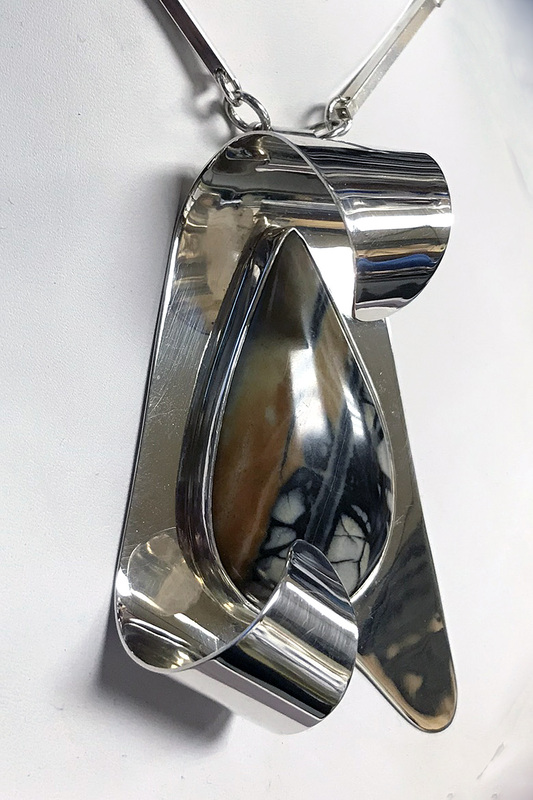 This handcrafted sterling silver pendant is created with a manipulated high polished sterling silver "ribbon". This Limited Edition features a beautiful freeform Picasso Marble cabochon. The dramatic and bold pendant comes with our handmade square tubing chain fixed adjustable chain. 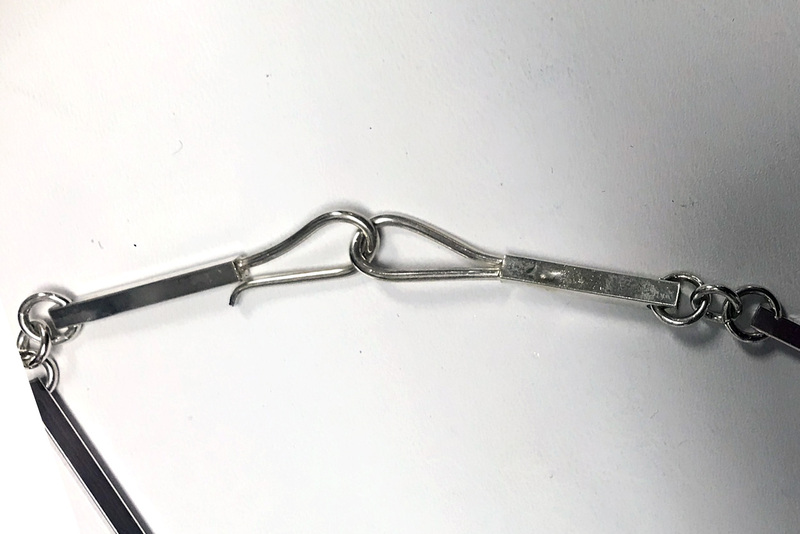 This unique pendant measures at the widest part 3.25" long x 2.25" wide. The Picasso Marble is approximately 2" long x 1.25" wide (50mm x 33mm). Picasso Marble helps reduce anxiety and stress and promotes balance emotionally and physically. This Jasper promotes a calm state of peace and provides strength through transitions. Includes a 24" handmade sterling silver adjustable chain.